Without a doubt one of the most hi-tech blades on the market, the Victas Koki Niwa blade with 4 composite layers, each designed to optimise specific aspects of performance. The inner aramid carbon provide extra power and stability, whereas the highly elastic carbon fleece near the outer layer enhance feel and spin. Professional blade made by Victas, the Japanese maker of premium quality equipment. The innovative DSE Blade Technology featuring the two built-in synthetic High-Tech fibres optimize energy transfer into the ball. 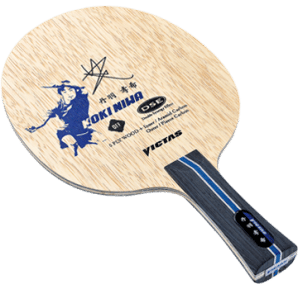 This feature enables risky counter-topspins with an aggressive trajectory and extreme spin variations in serve-and-return situations. The reinforced core ply combined with the power of the inner aramid carbon fibre is just perfect for fast mid-distance topspin rallies with optimized stability in extreme situations. The outer, very elastic Fleece Carbon provides for excellent feel and great spin development. 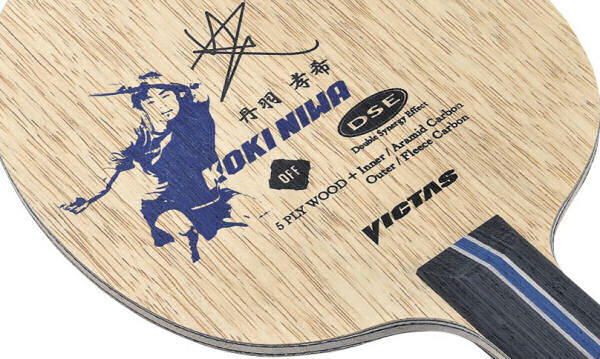 VICTAS Koki Niwa is the ideal OFF blade for modern attackers. The Victas Koki Niwa blade is an excellent blade that feels really well balanced when in hand. The blade is a very stiff which makes touch play when close to the net a challenge however the power that the blade generates when back from the table is excellent which provides great depth penetration when in an attacking rally. When in a spinning rally, the blade generates a good amount of spin (I use Tibhar MXP rubber max) whilst still maintaining a good solid feeling. When close to the table attacking the blade is fantastic – it is very quick and solid with reasonable feeling. The balls appear to come through quite quick with a low trajectory i.e fast and flat. From a speed perceptive the blade is very quick – definitely not as quick as the Stiga Carbonado 290 but quicker than a lot of other blades currently on the market. When blocking/punching the blade has a solid feeling which makes it a good blade for an all out attacking style of player. In summary, the blade is a very good blade for the more advanced player with a good solid technique. It is an aggressive feeling blade that enables strong drives from back of the table as well as fast and attacking play close to the table. 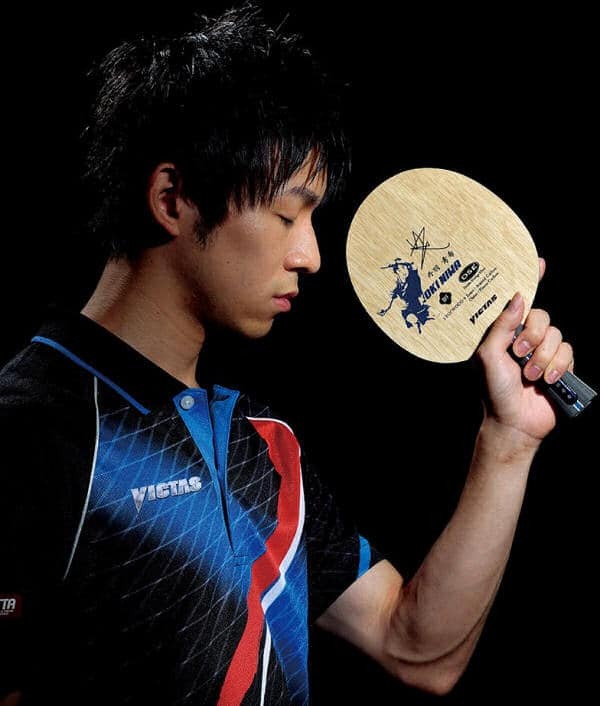 Koki Niwa uses the Victas Koki Niwa blade, with Victas V 15 extra rubbers on both sides. ← Butterfly table tennis equipment – OOAK Shop’s extended range!